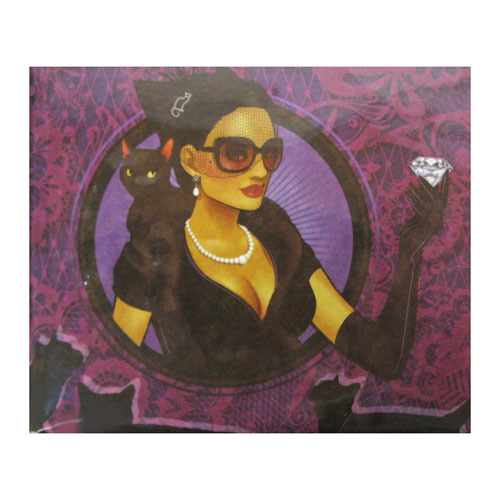 The DC Bombshells Catwoman Mighty Wallet Previews Exclusive is tear-resistant, water-resistant, expandable and recyclable! Made from Tyvek, these cool wallets resist tearing because of thousands of interlocking plastic fibers spun in random patterns, giving them incredible strength! The ingenious origami construction was and is the original folded Tyvek wallet designed by Terrence Kelleman. The stitch less design reinforces the materials own strength and allows these very slim wallets to instantly expand and adapt to your own personal storage needs. The DC Bombshells Catwoman Mighty Wallet is a great place to keep your money safe and secure. Makes a great gift for the DC Comics fan in your life! Ages 10 and up.